Clean Water is important to everyone, regardless of who you are or what you do for a living, and most will agree that Cape Cod has unique and growing challenges regarding the water that is both beneath and surrounds us. Each “Cup Challenge” hopes to pit businesses in the same industries against each other to get the most employees, spouses and subcontractors participating in the 4thAnnual Race to the Pint being held at Cape Cod Beer on Saturday April 27th. The idea came from a friendly competition between two local banks, and then grew when other industry professionals heard about it. Each team (or business designating a team) will get points for Runners, Walkers and Volunteers who sign up for the Race. At the end of the race the points will be tallied, and three LARGE cup trophies will be award. Along with bragging rights and the ability to keep the Cup for the year, the winning teams will also be honored with a plaque at the brewery, and a private brewery tour and party with the owners of Cape Cod Beer. Clean water matters to everyone – whether we’re talking about drinking water, wildlife habitat, or the salt and fresh waters we use recreationally. Keeping our waters clean and mitigating damage once it is done is a complex problem that needs more attention. Race to the Pint and its partners hope to be part of the solution – along with our local industry leaders. We believe that if we work together we can all make a difference. Barnstable Clean Water Coalition (BCWC) works to restore and preserve clean water throughout Barnstable. BCWC’s mission merges science, education, technology, and environmental conservation. The focus of our mission is based on four objectives that we call EMMA: Educate, Monitor, Mitigate and Advocate. For more information, visit our website at www.BCleanWater.org. About Cape Cod Beer Inc. 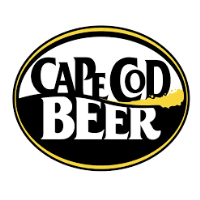 Founded in 2004, Cape Cod Beer is Cape Cod’s original craft beer and is proudly dedicated to fresh, delicious, local beer. Located in Hyannis, Cape Cod Beer is self-distributed and is available on draft and in cans from Pembroke to Provincetown. The brewery is open six days a week year-round for tastings, tours and events. The brewery store features a large selection of products made on Cape Cod. Find out more about the company, schedule a private tour or event and view beer styles atwww.CapeCodBeer.com.